Fungi Made Fun with Imagination, Color & Semi-Psychadelic Flair. Garden Adornments to Complement Nature's Art Growing Nearby. While you typically think of art as something you hang on the wall in a home or gallery, there's no reason not to decorate a garden as well. 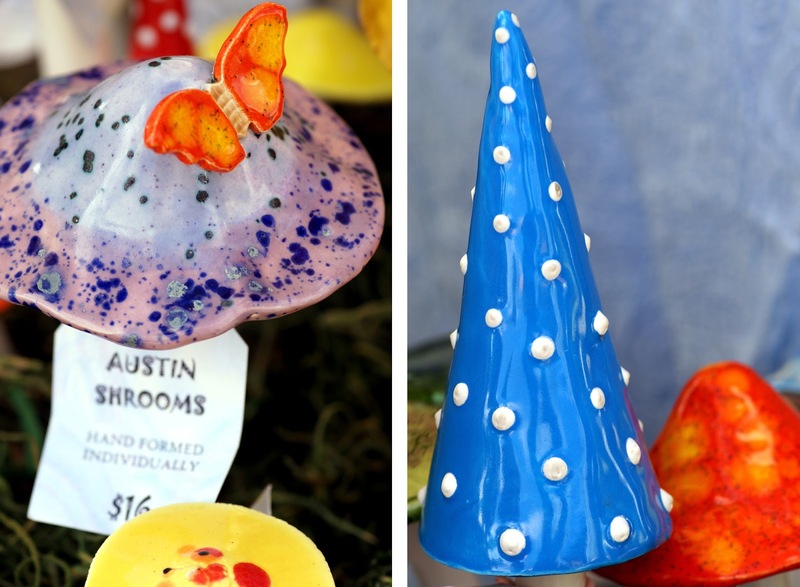 Flowers and other plants are their own form of art, but the occasional decorative element like a garden gnome or mushroom stake adds color, fun and personality to the outdoors! Austin Shrooms creates a wonderful array of these garden adornments that are as beautiful grouped together as standing alone. 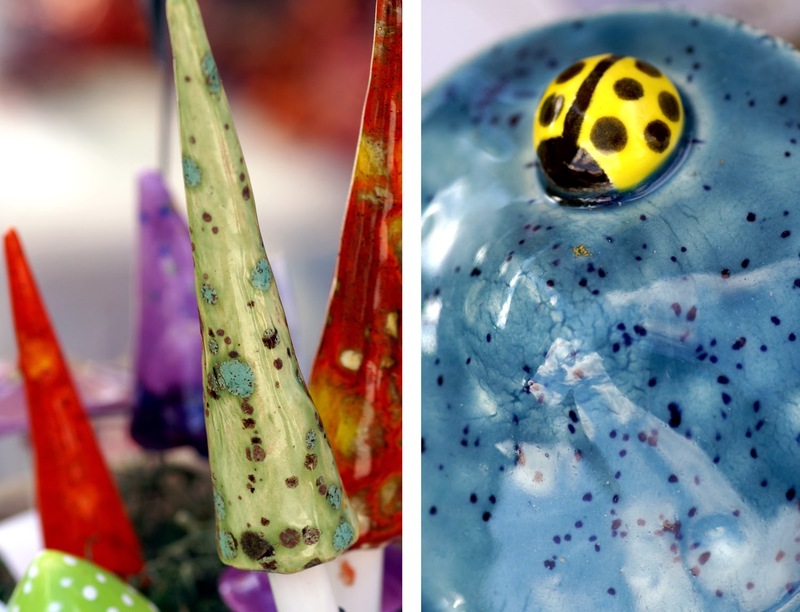 Each mushroom features bold, bright hues and sometimes an accompanying butterfly or ladybug. While these end products are often Psychedelic in style, it's not hard to figure where in nature these crafters got their inspiration. Looking at the collection together, you see a mix of unique and imaginatively shaped forms, probably because Austin Shrooms is a group of artists with similar, but distinct styles. Some make button mushrooms with polka dots, others mold mushroom caps with little bug visitors on top, and still others prefer swirling forms reminiscent of snails. 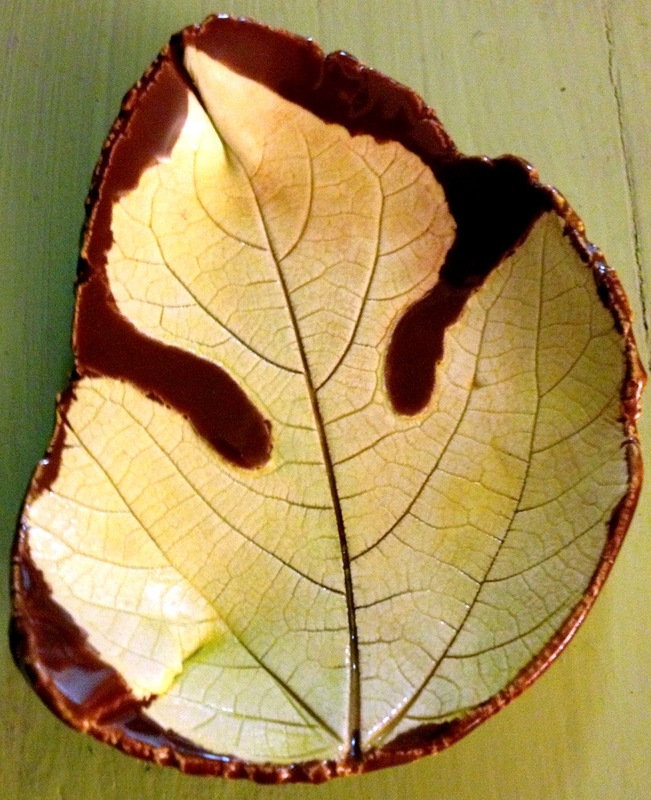 I also enjoy the array of small plates and dishes with imprints of nature or other unusual textures, as bright and uniquely colorful as the mushrooms. It's inspiring to see the pieces that have grown out of these crafters' minds from such simple materials and subject matter.